Hippodrome Casino is based on the iconic London Casino and they claim to understand the thrill and excitement of online gaming better than anybody (apparently), and they are delighted to welcome you to their world of winners. Enjoy over 450 premium casino games including roulette, blackjack, progressive slots and more. There’s something for everyone here, including the thrill of live casino. There’s no software to download, log in and enjoy instant gaming. Hippodrome Casino runs on the Microgaming software. Funding your account can be done via Visa, Mastercard, Maestro, Ukash and Neteller. The Hippodrome Casino is committed to protecting and respecting your privacy. They comply with all applicable data protection and privacy laws. This site is very much a man's casino site with its dark theme and the presence of glamorous ladies. 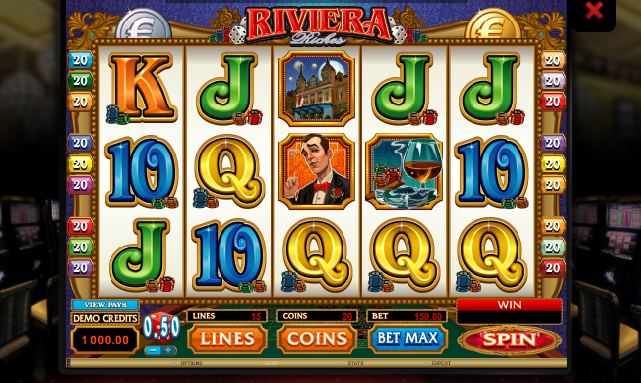 You’re welcomed by images of the latest games, promotions and the iconic London casino building. You can easily find what you’re looking for with the aid of various tabs. As a member of Hippodrome Casino's exclusive Loyalty Club you will earn Loyalty Points every time you play. Loyalty Points can then be redeemed for FREE Casino Credits, so rake in those Loyalty Points and start earning big! Hippodrome Casino is a brand managed by Betway Limited, a Maltese registered company whose registered address is in Malta. If you’re a guy looking for plenty of games and promotions, then this is the site for you. Ladies, I felt slightly inferior when visiting this casino by the presence of the glamorous ladies. This is a casino aimed at men not women.